Your Nebraska Court Reporter. Without Restrictions. Discovery Litigation Services delivers experienced Nebraska court reporters everywhere in the state, no matter how remote. Employing the suite of litigation services we have to offer, you can easily schedule your court reporter in Nebraska regardless the address of the deposition. Our video streaming enabled court reporting service allows us to supply you with just what you need, without the headaches of mismanaged schedules or traffic woes. You don’t have to settle for any Nebraska court reporter now that Discovery Litigation Services offers you a choice from our network of supremely qualified court stenographers immediately available for booking. Have You Been Throwing Away Your Most Valuable Resource? Hunting down the right Court Reporter is time-consuming and usually limited to a small pool of candidates and quickly consumes your most valuable resource - time. Discovery Litigation Services simplifies the process of getting the highest rated court reporters for your deposition everywhere in the state of Nebraska. Our worldwide network of quality streaming enabled court reporters, will ensure that you are receiving the best-qualified court stenographer to meet your needs anywhere your deposition is. No longer do you have to choose just from whoever is in your area. Let Discovery Litigation Services provide you with most qualified stenographer for the job. Court Reporters in Discovery’s vast network are versed in a variety case sizes and held to rigorous standards. Discovery Litigation Services is founded by an experienced stenographer who knows the significance of the court reporter’s role and the importance of going beyond the norm in meeting clients’ expectations. That is the culture upheld by Discovery Litigation Services and all of its professionals. With mediation, arbitration, videography, court stenography, document review attorneys, interpretation services, in our quiver of solutions we have to offer. Discovery Litigation Services provides what you need to alleviate the load and allow you to focus on the target. What Can You Do With An Extra 3 Hours Per Day? Discovery Litigation Services will handle everything for you. We provide you with the court reporter, videographer, we will set up the high definition audio/video streaming, we furnish the Interpreter, and assign a Document Review Attorney. We will staff your Paralegals, Project Managers, Translators, coders, and guide you through pre-trial strategy. We create the exhibit database, edit your video clips and load all of your media into a trial ready solution. Discovery’s easy to implement digital scheduling gives you an easy portal to book your Real-Time-Ready Court Reporter and access to Expedited Transcripts. The convenience we provide doesn’t end there. We offer a full-service solution for all of your deposition and corporate needs. Discovery Litigation Services provides as much or as little utility to your case, as you require. Our mission here at Discovery Litigation Services is to provide you with the tools you need to be efficient and focused and maximize the time you have to focus on the important things. We would like to take the burden off of your shoulders. 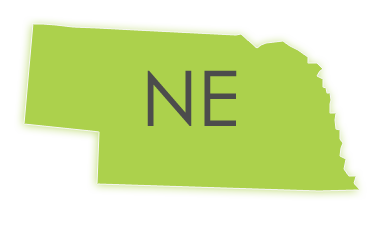 We can cover any deposition across Nebraska, and across the country. You’re just a few clicks away from Discovery Litigation Services handling all of your grunt work. In our business, there is no margin for error. Get it done right. Click “Schedule Your Deposition” and gain access to a host of full-service solutions right at your fingertips.